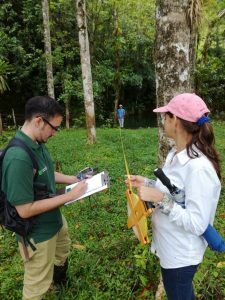 With funding provided by “I Debt-for-Nature Swap E.E.U.U – Costa Rica” and the Forever Costa Rica Association, OTS-La Selva Research Station continues to implement the “Proyecto Valores” program, which promotes the restoration and conservation of the tropical rainforest of the San Juan-La Selva biological corridor. 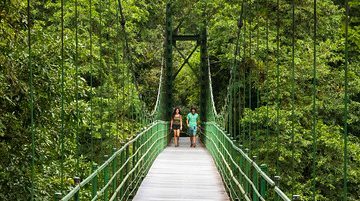 The project aims to create a model of sustainability and monitoring of forests, carried out by the owners of farms in communities of Puerto Viejo, La Virgen and Horquetas, (Sarapiquí, Costa Rica). 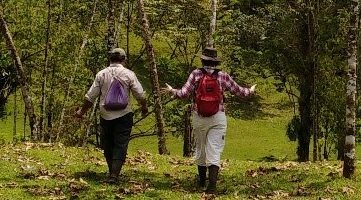 Since June 2018, the program has been conducting surveys with more than 100 farmers in 15 different communities, to understand how they perceive the forests and the landscape of Sarapiquí. In 2019 the project will conduct more surveys and all the information collected will be used to design environmental education programs and participatory citizen science models in the region. To foster greater community involvement, OTS also held a workshop in September 2018 for 21 farmers interested in learning more about the project and improving the native forests on their farms. 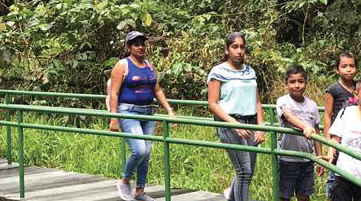 The goal of this workshop, which is the first of many, is to create a network of forests through four main rivers in the region (Sarapiquí, Tirimbina, Bijagual and Peje) that will serve as biological corridors for hundreds of species of flora and fauna. 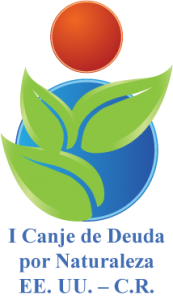 The project has already started working with farmers to carry out ecological restoration on their private farms. In addition, these workshops will be essential to promote and execute new forest valuation models, especially in secondary forest of the region, which are one of the most vulnerable ecosystems to disappear due to the rapid change in land use. Associating these secondary forests in private farms with incentives programs, such as payments for environmental services (PES), sustainable use of forest products or ecotourism, are some of the strategies that the OTS promotes to convince the owners that their forests have a high value for their farm and the society. The Proyecto Valores also provides a new generation of scientific information for scientific articles, case studies, educational material, maps or infographics. Ecological restoration strategies, water quality, spatial analysis on GIS or social diagnostics are just some of the many topics that the project will embrace and make available to the community in the next few years. The program is carried out by an outstanding team of scientists, who are very committed to the conservation of the tropical forest and the well-being of the communities. The program is conducted in receives support from scientists such as Dr. Matthew Fagan of the University of Maryland Baltimore County in the United States and Dr. Eben Broadbent and Dr. Angelica Almeyda of the University of Florida (USA). 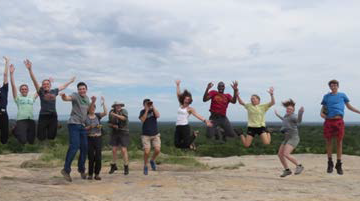 The scientists collaborate with studies on land use spatial analysis, riparian forest structure and ecosystem services of agritourism. 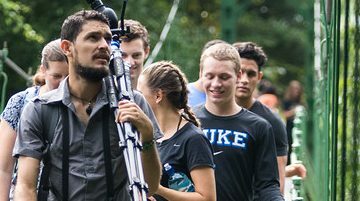 Finally, the project encourages student participation of students through internships the students provide technical and scientific skills and gain experience working in a variety of the tropical environments. For additional information, please contact: Dr. Amanda Wendt (amanda.wendt@tropicalstudies.org), or the project manager Lic. Jossy Calvo (Jossy.calvo@tropicalstudies.org).